With the new season comes new styles preference, mood, and even scent! I find myself constantly browsing online shops late at night, purchasing (or putting on my wish list / cart) more boho pieces compared to my minimal months. 1) Green Lacy Dress that I can take from the city to the sea, with different styling. 2) Black, comfortable, everyday sandals. 5) Summery scent, preferably Bvlgari. Along with this list, I am also eyeing on these Tory Burch Summer Colors Footwear that are currently on sale. From their classic flats, to espadrilles style, these footwear can easily become my summer uniform. 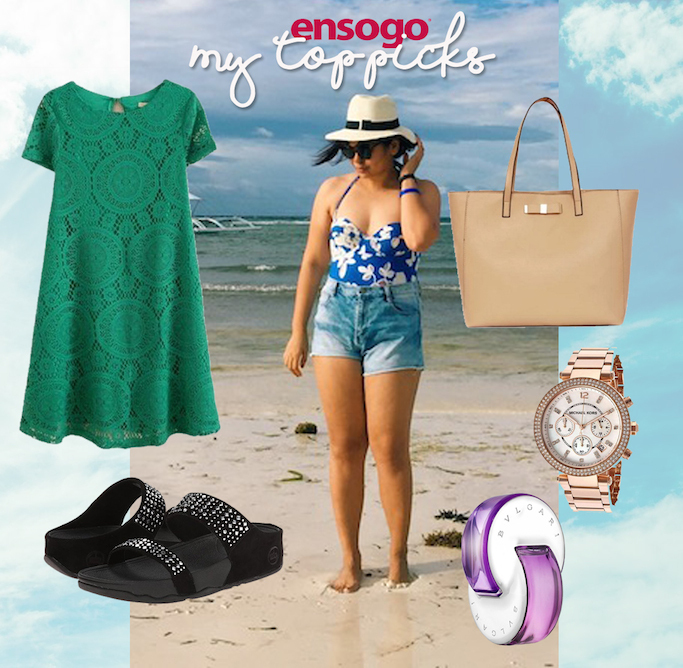 For more information and updates, follow @ensogoPH on Instagram! Question, Ms. Ana: Are the Tory Burch flats sold on Ensogo authentic (and not just Class A)? Thank you very much and hope to hear from you.